The move comes in response to Kiev’s failure to pay off its existing debt of $3.5 billion. Failure to pay could threaten gas supplies to Europe. Russian gas behemoth Gazprom is now asking Ukraine to prepay for its gas supply, following its neighbor’s failure to pay its existing debt of $3.5 billion. The Russian company has already sent the first bill for June to Ukraine. According to a Gazprom statement, if Ukraine does not pay the bill in June, then by 10 a.m. on June 3 Gazprom will notify Kiev of the volume of gas to be supplied in accordance with the pre-payment. Russia has justified the decision by the fact that in early May, Ukraine did not pay for gas deliveries in April. According to the holding, the total Ukrainian debt is $3.5 billion. This amount is equivalent to 9.42 billion cubic meters of gas, which is comparable to the total volume of gas supplied by Gazprom to Poland in a year. 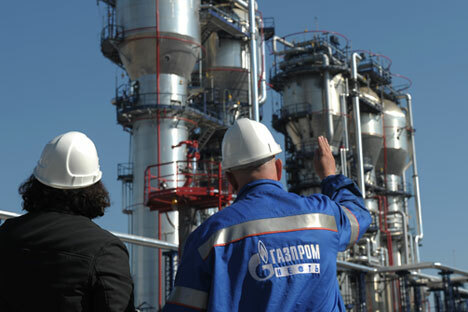 To prevent the debt from increasing, Gazprom has altered its payment scheme. Earlier, gas was supplied under the “take or pay” scheme, according to which the consumer pays for gas on delivery. This is the same scheme Gazprom uses when working with its EU customers. This scenario has already occurred. In January 2006 Ukraine did not pay for its gas supply and began syphoning off gas intended for European consumers – an action later officially admitted by Kiev. According to Grigory Birg, co-director of the analytical department of Investkafe, the likelihood that in the future Ukraine will not pay its gas bills on time or in full remains very high. “This is supported by the unstable political situation and economic crisis in the country,” said Birg. According to Russia, Ukraine has the money to pay for gas. “They have money, they have taken a loan, and this money can be used to pay for gas supplies,” said Ivan Kapitonov, assistant professor of government regulation of the economy at the Russian Academy of National Economy and Public Administration. “Russia could have switched to a prepay system in April, but it didn’t happen, bringing the situation to this logical absurdity, and only now is Russia exercising its rights,” said Kapitonov. In early May, the Board of Governors of the IMF approved a credit line for Ukraine for the amount of $17 billion, and the first tranche of $3.2 billion has been sent to Kiev. This amount covers most of Ukraine's debts to Gazprom. According to Ukraine’s Deputy Energy and Coal Industry Minister Igor Didenko, Naftogaz Ukraine is willing to pay $4 billion of debt for gas supplies to Gazprom before the end of May. However, according to Didenko, the Ukrainian side will pay for the gas only at the price of $268.5 per 1,000 cubic meters, not $485, as Gazprom has been advocating. Gazprom’s sale of gas to Ukraine at a discounted price was conditional on two factors: the grant of a loan in early 2014 and the rental of the Black Sea Fleet’s naval base in Crimea. After the beginning of the Russian-Ukrainian conflict, the first discount was canceled, and the takeover of Crimea rendered rental payments for the accommodation of the Russian fleet redundant. As a result, the price for gas was accordingly increased, but the Ukrainian side refuses to recognize this. Another round of talks between Russia and Ukraine on gas will be held in Berlin on May 19, the mediator being EU Energy Commissioner Günther Oettinger. According to Oettinger, to prevent possible supply disruptions, a temporary gas price for Ukraine could be agreed on by both parties by the end of May. Moreover, as stated by the commissioner, if the suspension of deliveries takes place, the parties can still continue negotiations. In the worst-case scenario, the issue can be resolved by the Arbitration Institute of the Stockholm Chamber of Commerce.